Philadelphia – As a result of what was described as “unsettled” family circumstances, Sonya Claxton was in a situation that many Latina mothers find themselves: needing to quickly find an early childhood care center for her daughter Layla. “It was painful but we endured it,” she said. Having educated herself on the high quality Pre-kindergarten programs available in the region through “Keystone Stars,” an early childhood initiative of the Office of Child Development and Early Learning, Claxton put her name on a waiting list for the Parent Infant Center (PIC) in West Philadelphia, one of the early childhood education institution – founded by the University of Penn in 1978- that was recognized for its quality and research-based child care. Although Layla initially was “withdrawn,” Sonya Claxton began to notice a subtle transformation. Several of Layla’s drawings appeared in the PIC newsletter, and then she saw her “petting” animals and “playing” in the school’s large garden with other children. Upon entering the bustling Locust Street Parent Infant Center, Monday, Sen. Bob Casey (D-Pa.) said, “This place is alive.” The Senator then noted he was accustomed to hearing “crying” children, alluding dryly to Congress. 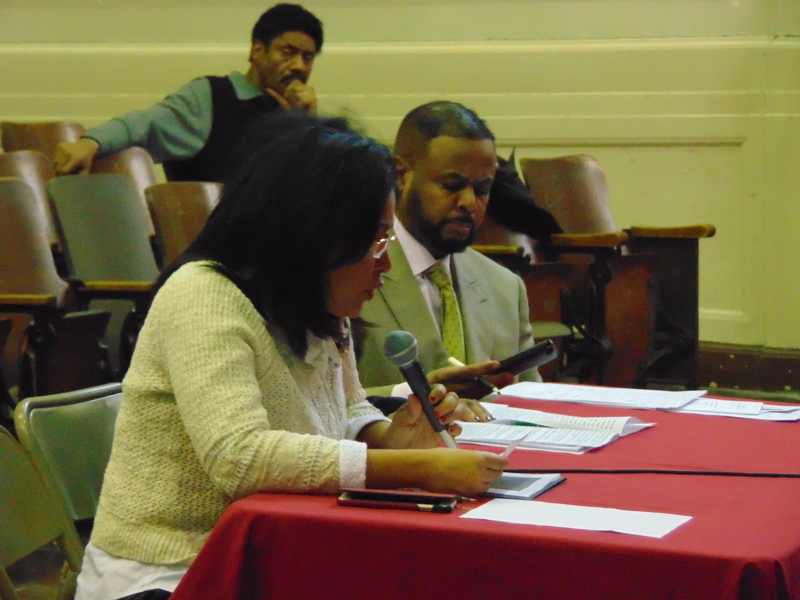 The comment drew laughter from an audience that included West Philadelphia Rep.Jim Roebuck (D-188); Debbie Green, Exec. Director of PIC; Democratic City Commissioner Carol Jenkins, PIC Coordinator Tamara Clark and Bonnie Squires Pres. of Squires Consulting. 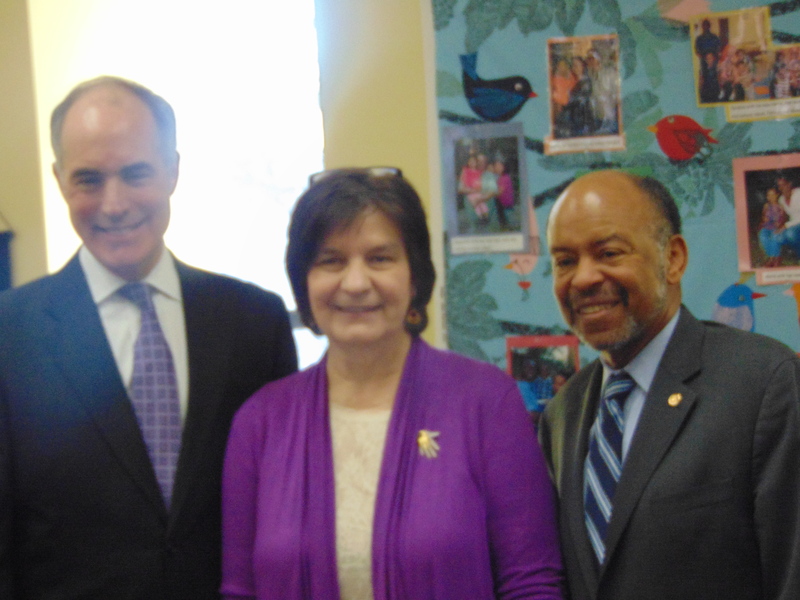 In unveiling a series of proposals aimed at addressing the need for quality early childhood education for all children, Sen. Casey said the principal bill, “Prepare All Kids Act,” is designed to ensure that all children have “high-quality” early childhood education. “If we want to grow our economy and compete in a global economy, we have to invest in children at the dawn of their life,” said Sen. Casey, who said they were awaiting estimated costs of the program. The bill’s provisions include requirements for pre-kindergarten programs to rely on research-base curriculum and trained teachers with baccalaureate degrees, as found at PIC. In addition, it provides federal matching funds to states who “voluntarily” participate in a program that is aimed at helping children from families with incomes under 200% of the federal poverty level. An international study of 15 year-olds from 14 developed countries found that students who attended a year or more of pre-primary education scored an average of 33 percent higher on comprehensive reading assessments. Moreover, the National Childhood Education Service, in a recent study, found that, Latino children are “less likely” than other children to be enrolled in “quality center-based” early childhood programs. “These complaints of parents, teachers and students,” Ms. Quinones Sanchez added, “paint a portrait of a failure to provide the basic components of a safe learning environment.” Moreover, Councilwoman Quinones Sanchez argued that students in her district were “hit especially hard” by the state’s “failure to provide a fair funding formula proposed” by the Rendell administration. Ms. Quinones Sanchez also called for reducing or “minimizing” the reliance on ‘testing” and for a “waiver” of testing imposed in order to graduate, arguing that the requirement wasted ‘scarce resources’ and “fails” to adequately measure academic abilities. 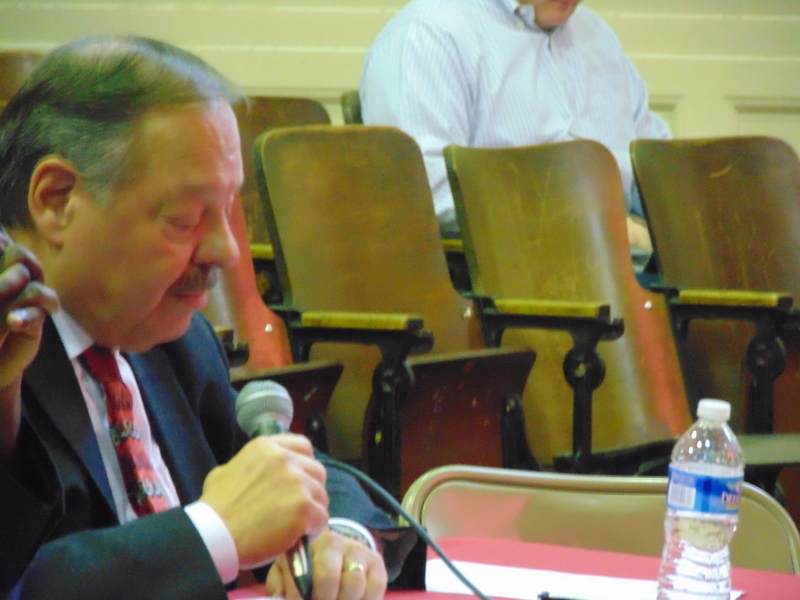 Pennsylvania Education Secretary Pedro Rivera told the panel that Wolf’s proposal will increase the state’s share of funding for public education to fifty percent and cut property taxes by more than 50 percent for average homeowners. Using charts that drew a comparison of state education funding with student performance, Secretary Rivera demonstrated that under former Governor Rendell school funding had risen from $4.7 billion in 2005 to $6.7 billion in 2010. And simultaneously, the proficiency in reading, across the state, climbed from 67% to 74%. The statewide data on math proficiency witnessed similar improvement, rising from 68% in 2005 to 77% in 2010. By contrast, education funding in the Corbett administration initially dropped to $5.3 billion in 2011 and then increased incrementally to $5.6 billion by 2015. During that time, from 2011 to 2014, statewide reading proficiency declined from 74% to 70% and math proficiency fell from 77% to 72%. Mr. Diaz also recommended “wraparound services” that include summer school programs, after-school programs and food, health and mental health services. 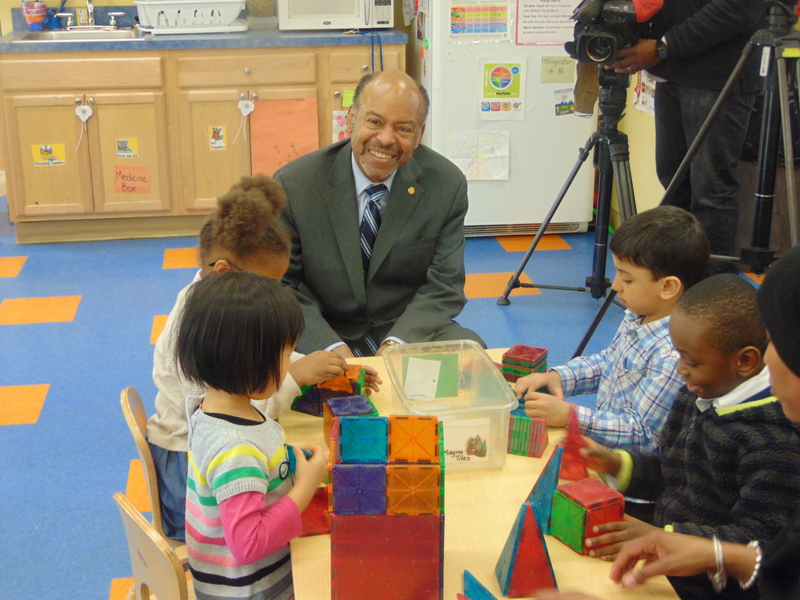 He also urged making early childhood education a priority. According to Stack, the Governor’s plan would restore the $1 billion in public education funding that had been in the last four years.